The site has gone through a major design change since I worked on it last time in 2017. The picture above is displaying the site with its latest design update that I did not work on. 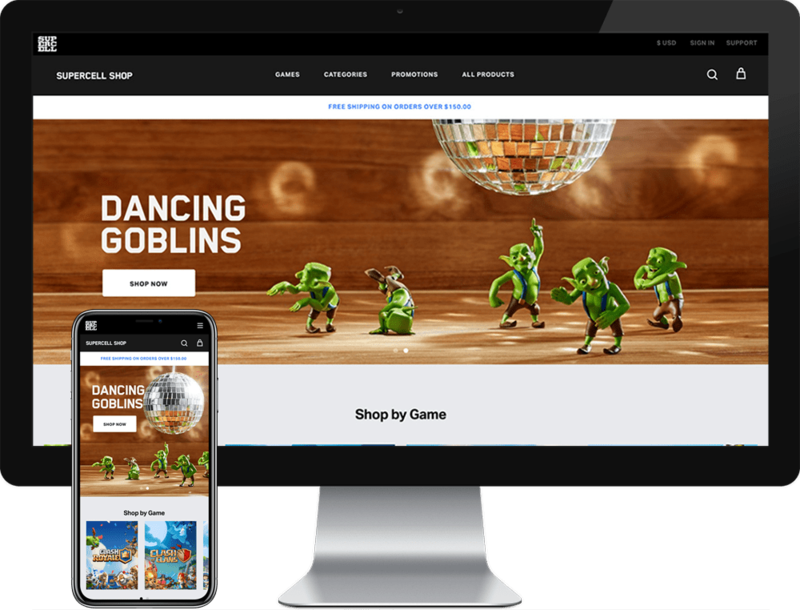 For Supercell, Firstborn created a responsive e-commerce site, Supercell Shop, using Preact and Liquid Template to take full advantage of Shopify. The site has now expanded to EU and China in addition to the US. For the US store launch in late 2016, I joined the team in the later phase. My role as a developer was to polish the site as much as I could. For the expansion of the store in 2017, I was the lead developer to create the international store fronts for KR, EU, JP, and China. The challenge of building an international e-commerce site is Quality Assurance. "Please view it in the latest Chrome browser" isn't an excuse since the most popular browser in Korea and Japan is Internet Explorer. Moreover, the site's performance directly implies lower conversion rate and smaller revenue. Since developers are responsible for QA at Firstborn, I spent the most time on QA – making sure that the look of the site and the cookies that are used to save user's location are working correctly across the browsers. I was also able to find a bug within Shopify platform. It was a proud moment for me :). This project exposed me to the intricacies of QA, and I still carry the habit of rigorous QA to this day.